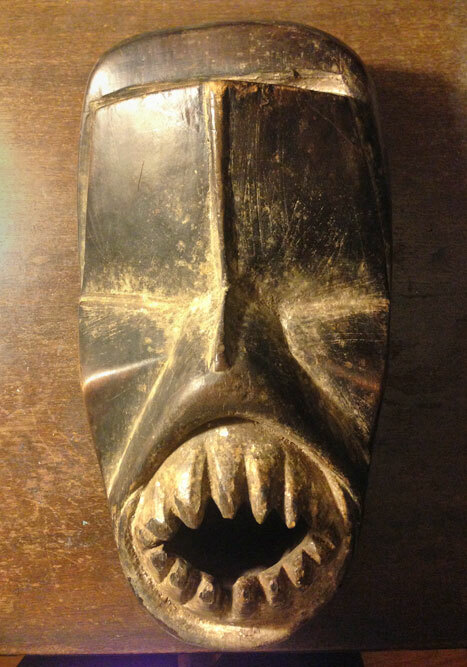 You are looking at the famous Fang Nigil mask. Typically they are large, elongated masks covered with kaolin and featuring a face that was usually heart-shaped with a long, fine nose. 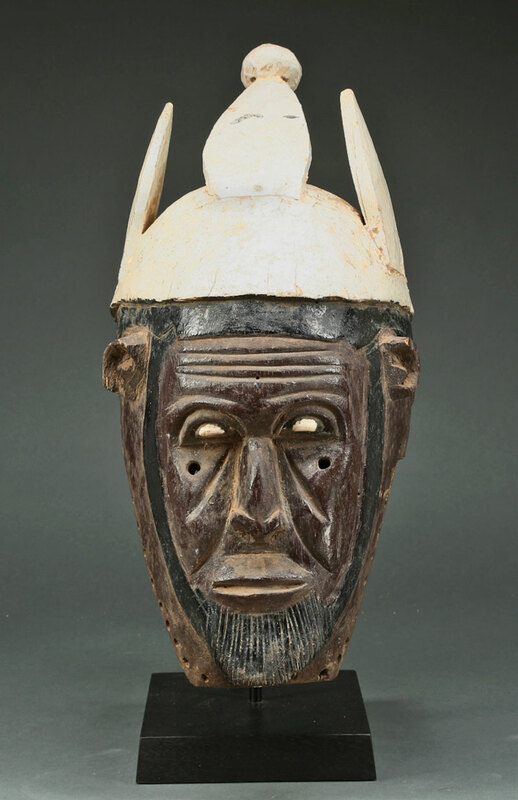 This is one of the many African masks collected by European explorers in the 19th century. When the great modern artist of France first saw these amazing wood sculptures their concepts changed dramatically. 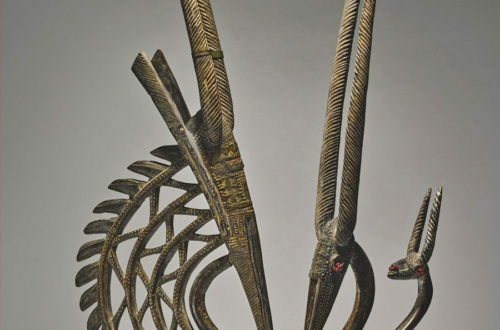 Many contemporary artist, especially in the West, art still big admirers of African traditional art. The Ngil is my favorite! The Fang people used masks in their secret societies. Members of this male society wore the Ngil masks during the initiation of new members and the persecution of wrongdoers. Masqueraders, clad in raffia costumes and attended by helpers, would materialize in the village after dark, illuminated by flickering torchlight. The Fang tribe are spread over a vast area along the Atlantic coast line of equatorial Africa and can be found in Cameroon equatorial Guinea and Gabon namely along the bank of the Ogowe river. 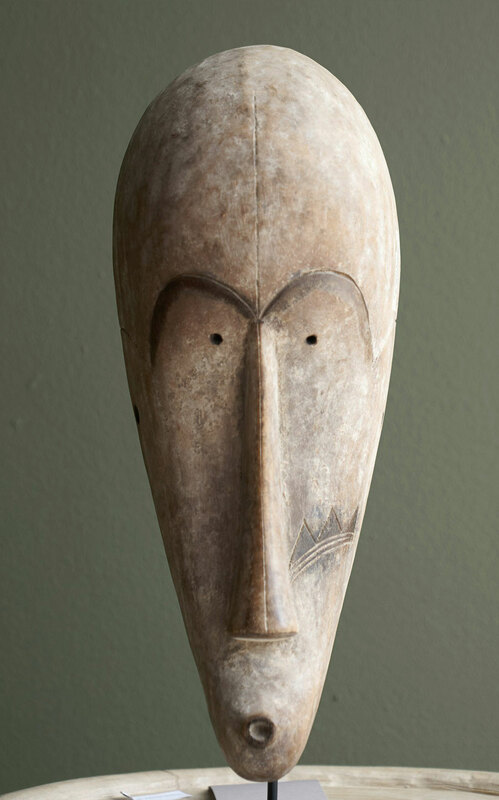 African Mask from the Fang Tribe were worn worn by spiritual leaders during rituals to ward off evil spirits, or as symbols depicting wealth and prosperity.